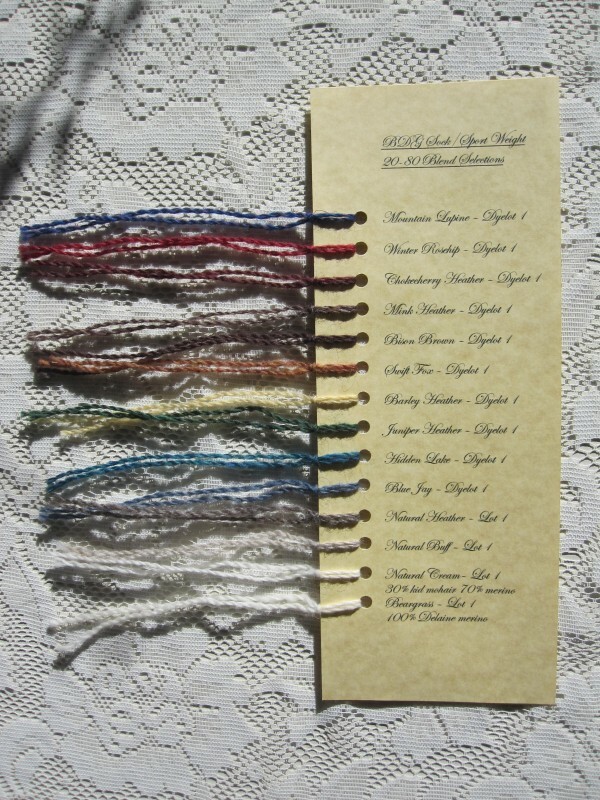 Current sample cards for our sock/sport weight yarn. These selections come in 4 oz. hanks with approx. 450 yds. per hank. The fiber blend is 20% fine kid mohair and 80% Delaine merino. Beargrass is 100% Delaine merino. They knit up at approx. 6-8 stitches per inch on size 2-4 needles. This yarn has lovely hand and the kid mohair adds strength and sheen. Gorgeous!